What if you didn’t have to pay employment tax, worker’s comp, unemployment, payroll processing fees, and all of the other costs that go along with having employees? It’s a risky bet that many employers have taken in recent years – classifying all or some of their employees as independent contractors in order to avoid employment costs. Maybe it was advice given by their accountant or just a family friend. Maybe they saw one of their competitors reclassify all of their employees and it seemed like a smart idea. Whatever the reason the number of employees misclassified as independent contractors has risen significantly in the last several years. The federal government has taken notice. In late 2011 the U.S. DOL issued a memorandum of understanding with the I.R.S. stating that they would share information and work together to reduce the incidence of misclassification of employees and the employment tax portion of the “tax gap”. Then one day the U.S. Department of Labor comes knocking and says that your company is under investigation. During the investigation they determine that the people you had classified as independent contractors are actually employees of your company and subject to federal labor laws. They charge you overtime owed for the last two years (20 overtime hours per week * $20 per hour * 30 employees * 0.5 * 104 weeks = $624,000) and they charge you liquidated damages for the unpaid wages owed (an additional $624,000). And voila! you have a $1,248,000.00 bill due in 90 days. 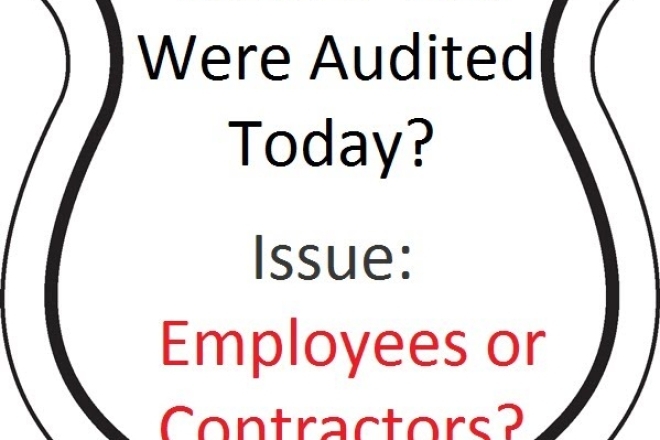 Are your independent contractors doing the same job as any of your employees? Do you only have independent contractors? 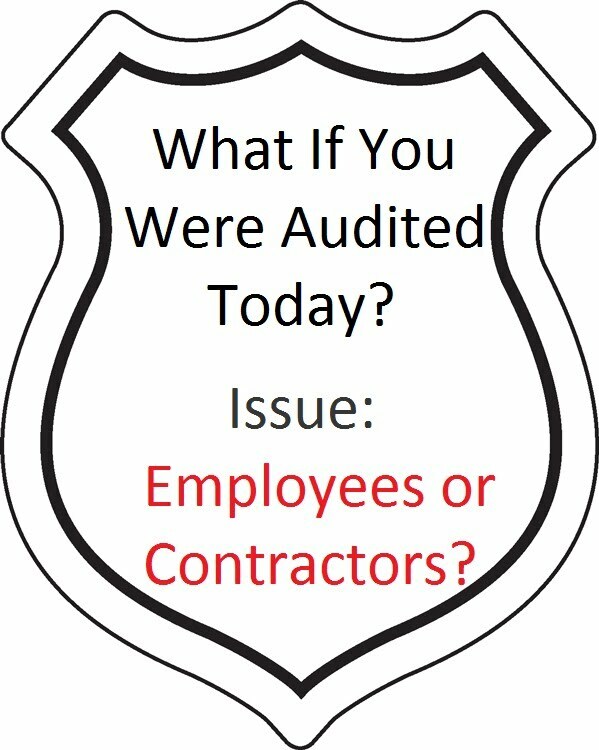 If you answer yes to either of these questions you are probably misclassifying employees and should fix it immediately to avoid severe problems down the road. The complete test of whether a person is an employee or an independent contractor is a little more complicated and includes analyzing several employment related factors. Listed below are the factors used by the U.S. Department of Labor. The I.R.S. has its own list of factors as do many state departments of labor but it all boils down to the same general theme. Are they working for you or are they working for themselves? 1) The extent to which the services rendered are an integral part of the principal’s business. 3) The amount of the alleged contractor’s investment in facilities and equipment. 5) The alleged contractor’s opportunities for profit and loss. We hope you found this week’s tip helpful and informative. Please pass it along to anyone you think might be at risk as a result of employee misclassification. Follow us on facebook to get the next Tip of the Week on your newsfeed!